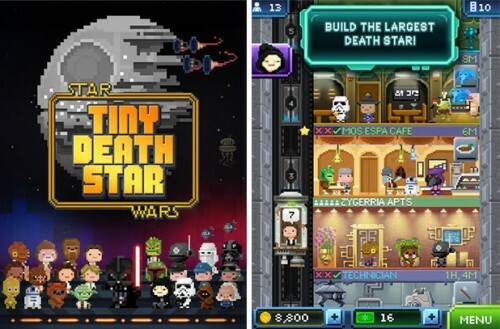 Developer NimbleBit has teamed up with Disney and LucasArts to bring you Star Wars: Tiny Death Star, where you take the helm of the Death Star in order to build, develop, and prepare the planet-sized Death Star. The gameplay is extremely similar to NimbleBit’s Tiny Tower. It’s available for free on the App Store, Google Play, and Windows Store. You hire outer space “bitizens” in order to build the commercial and residential floors of the Death Star. Like many freemium games, Star Wars: Tiny Death Star employs the use of premium currency that help speed up certain in-game actions. On the Death Star, the premium currency is called “Imperial Bux.” If you’re a fan of Tiny Tower as well as a fan of the Star Wars series, you owe it to yourself to check this game out. If you’re not yet convinced, check out the trailer below.